Mix and match dinosaur decals! 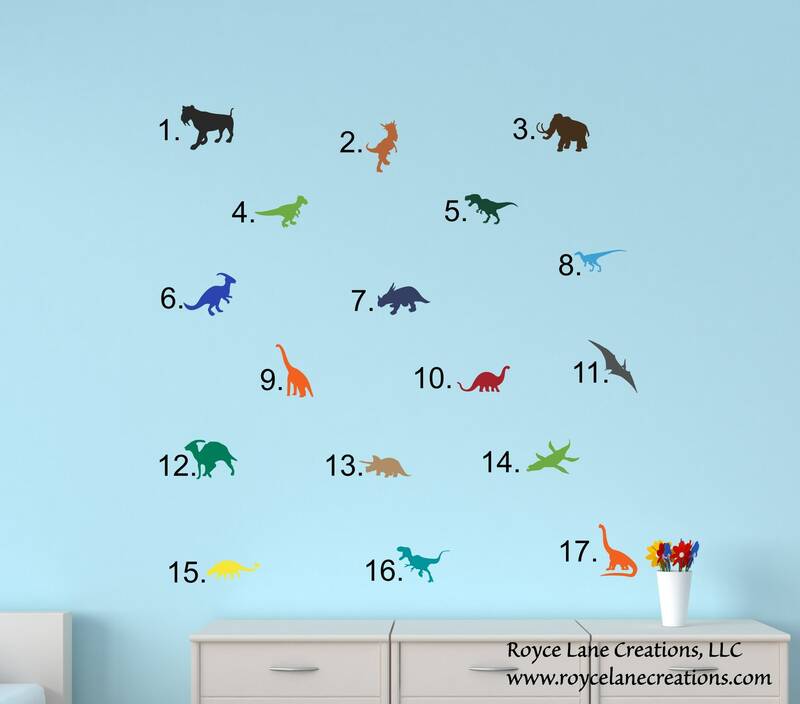 Create your own scene with these awesome dinosaur decals! Each dinosaur is 5" in the largest dimension. 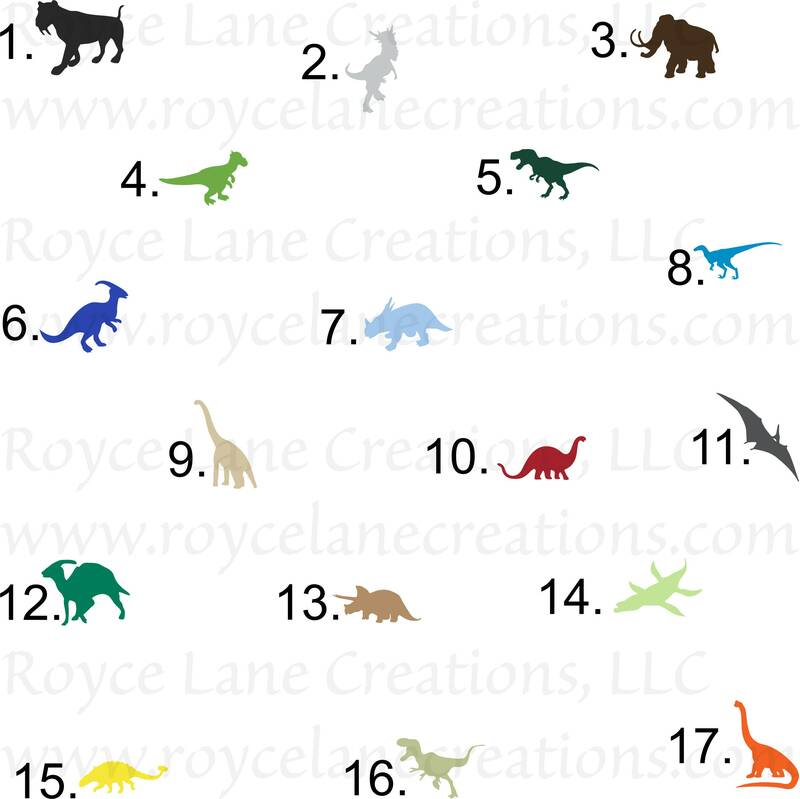 These dinosaurs are sold individually in the color of your choice. Have fun! 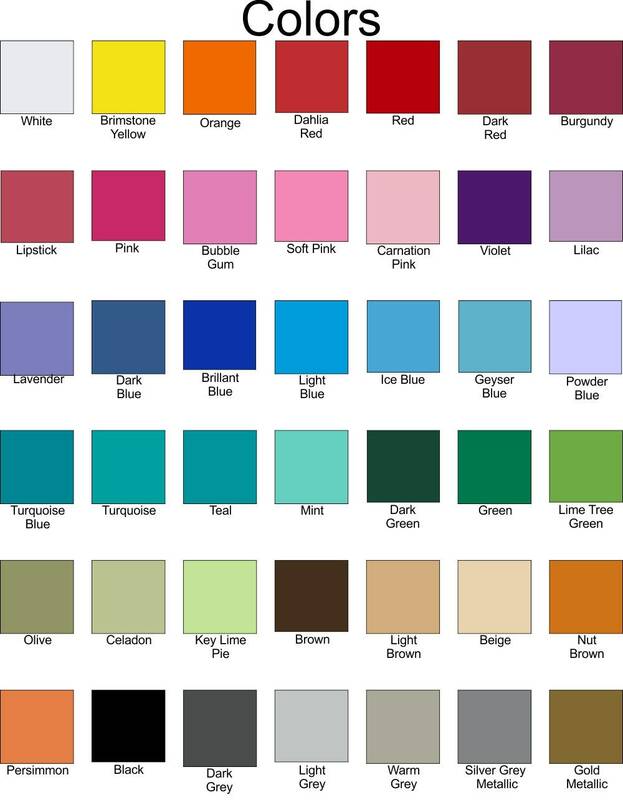 Match colors in the room to create a one of a kind look! All our decals are removable making them perfect for use on many surfaces! If you want other sizes just let me know! We can make many, many sizes to fit your needs!